You know who to blame. You have him on a poster. Here is the Economist Intelligence Unit in 2015: Caracas is one of the cheapest cities in the world. Here is the same source just two years ago, in 2013: Caracas is the most expensive city in the hemisphere. The reason for the dramatic change? The massive devaluation currently under way in Venezuela. Now, you may think that going from “expensive” to “cheap” is actually a good thing. What you fail to realize is that when prices – valued at international rates – are plummeting, so are salaries. So are the incomes of entrepreneurs. So is the income of the population at large. What this drop in the rankings reflects is massive empoverishment on a tragic scale. Kudos to the EIU for finally acknowledging that using the 6.3 exchange rate for international comparisons is highly misleading. Hopefully, other media outlets will follow suit. 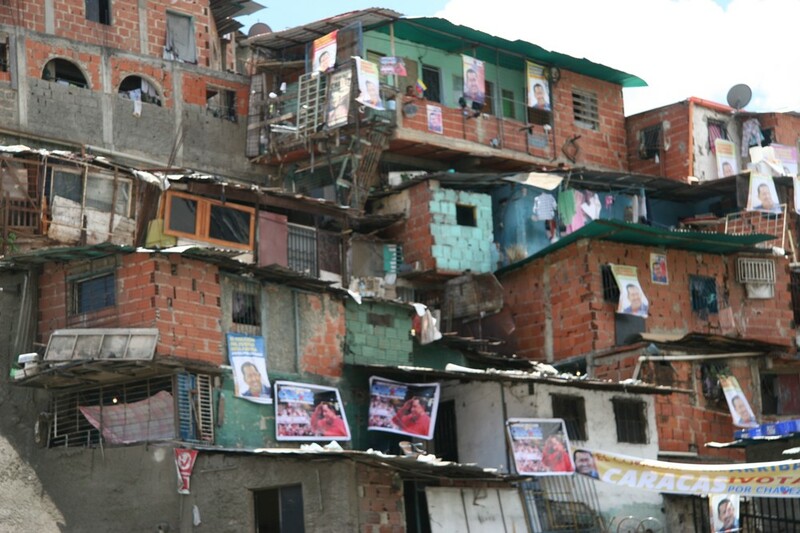 Update: As if on cue, three Venezuelan universities have published a study claiming poverty rates in 2014 climbed back to their 1998 levels. The study is here. I have not read it so I cannot opine, but Luis Pedro España is a serious guy. Update 2: The featured image on the post courtesy of Alek Boyd.